If you remember Sliders, it ran for five seasons between 1995 and 2000. The show first aired on Fox before moving on to the Syfy Channel for the remainder of the it's run. Sliders was birthed from the brains of Robert K. Weiss and Tracy Torme. The show was led by the two characters: Quinn Mallory played by Jerry O'Connell and Professor Maximillian Arturo done by actor John Rhys-Davies. They were joined on the show by Wade Wells played by Sabrina Lloyd and the accidental traveler Rembrandt "Cryin' Man" Brown, done by Cleavant Derricks. The main plot of the show followed the group while they jumped through wormholes that they had to find within a very specific amount of time. The wormholes would transport the crew to a parallel universe where any number of possibilities could, could have, or possibly already have happened. The catch was if they didn't jump into the exact timed wormhole, they would end up being stuck in whatever universe they were in for the next 29.7 years. The endgame being that they find Earth Prime in one of the wormhole jumps to return from where they originally came from. "Jerry had been pestering me for a number of years and we're actually talking to NBC at the moment to see if there's any possibility of rebooting the series. They're looking into the basic question of who actually owns it. At the moment we don't seem to be able to find that out." We don't know what got the ball rolling at NBC, or who lobbied who to listen to the idea of bringing the show back, but it seems that someone is actively throwing around some ideas as to some future plans. 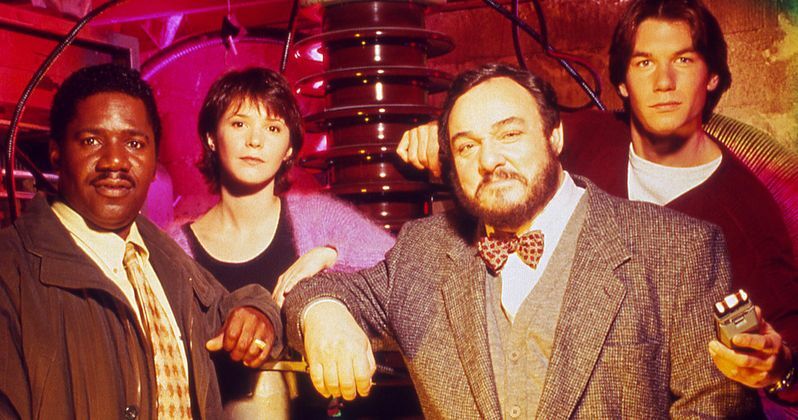 As they dig deeper into the lawyer stuff, to find out who owns the show, NBC may be poised to throw some money at a show like Sliders that will certainly draw a large nostalgic audience. Rhys-Davis looked like he would definitely be on board. "I would do it again, if just to show how it should be done. It could have been the best show on television, it could still be on the air. I think maybe if we got another chance at doing it with the new technology, but also new stories, I think we could do something quite extraordinary. I wouldn't want to do it for the rest of my life, but I would do it for a season or two if it was right." Hey, you never know where the Sliders crew may show up! Flickering Myth brought us this news first.